Livesey Park is located in North Fairhaven behind the Oxford School on Main Street. To get to the tennis courts, proceed north on Main Street and take either the first or third right turn after passing the Oxford School. There is ample parking on Glenhaven Avenue along side the 2 tennis courts. 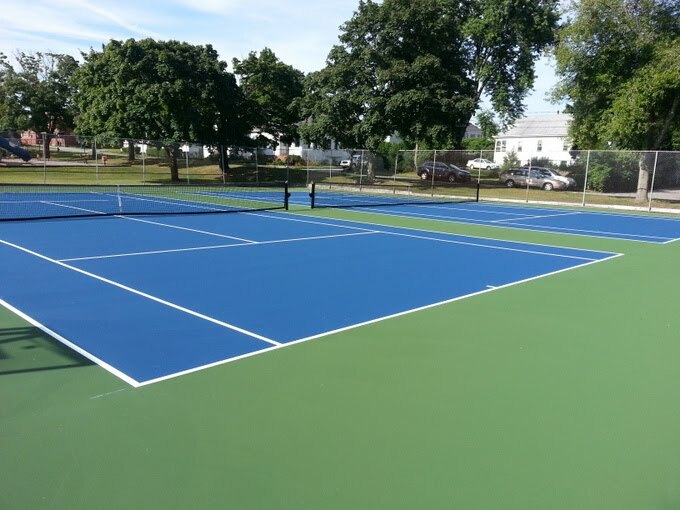 In August 2013 the courts were repaired and resurfaced in the blue and green "U.S. Open" colors with a $5,000 donation from the Fairhaven Tennis Association and some Community Preservation Grant money. They are located in a beautiful park setting that is maintained by the Board of Public Works in Fairhaven.